As opposed to Evil Chronicles. There may well be a few Evil Chronicles appearing here, the truth is I don’t quite know yet what form these creative endeavours will take. Such is the nature of evil schemes – even the best laid plans rarely survive contact with the enemy and where Evil UnLtd are concerned everyone is the enemy. They’re a friendless bunch, but that’s what happens when the choice is between a life of crime and developing better social skills. 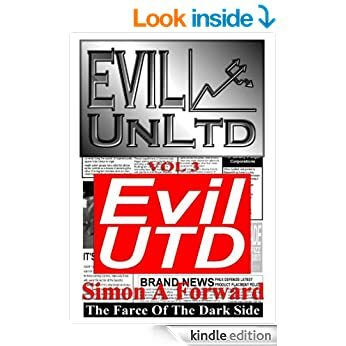 So anyway, here we might find stories, tales of dastarding-do, character pieces, excerpts, incerpts and all manner of materials relating to the universe of Evil UnLtd. We just don’t know, because I don’t really know what I’ll be writing from one day to the next. I’ll be as much in the dark as you. Hopefully, whatever emerges here it’ll be fun. Above all these blogs are an exercise in creativity. The plan is to write a little every day – say 600 words plus – and see where the words take us. 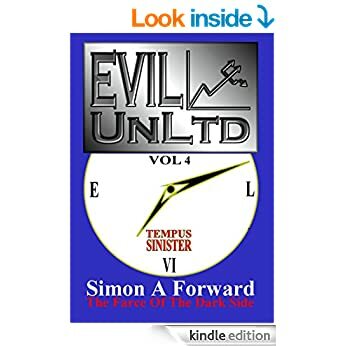 (These daily scribblings will be divided between three blogs: this one for Evil UnLtd, another for my children’s/YA fantasy series Tortenschloss, and one other for miscellaneous creative bits and pieces.) Readers are free to comment, point out where these stories and other pieces could be improved, which characters they prefer or even suggest twists and turns they could take if ideas occur. We’ll be kicking off the adventure here on October 1st 2009. We’ll start with a few items which appeared previously on the authonomy forum so apologies to any who will have read these before – but for all new Evil material, watch this space.